I was extremely nervous in the lead up to this event. Not just because the person interviewing me is one of the world’s top journalists and among his previous interviewees are Bill Clinton, Bono and Angelina Jolie! What would he think of The Strengths Book? What questions would he ask? Indeed, would he even turn up? I was also rather anxious because a lot was riding on the event. This was my first USA launch. My publisher believes in the book and in me – their team wanted to make this party happen! So, I was feeling the pressure to make it great. Matthew Bishop (said journalist, former Bureau Chief of The Economist and now MD of The Rockefeller Foundation) did turn up, and said the book was “very good”. He also asked excellent questions, not pre-planned ‘soft-ball’ ones but probing ones that called on me to prove that what I talk about in the book actually works in real life. Matthew delighted the audience and made them laugh right away, quoting shocking statistics and, much to their delight, revealed some secrets about his former employer! ‘This is going to be lively,’ I thought. 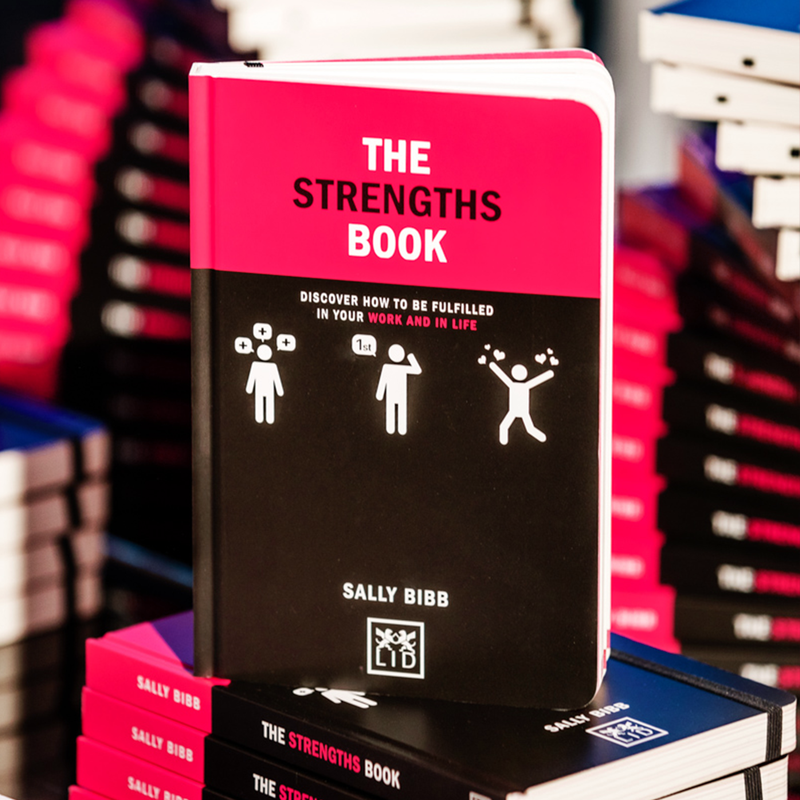 Having complimented The Strengths Book in its style, content and accessibility he set the scene by quoting some alarming facts about the world of work: only 13% of people are happy at work, 50% are disengaged and 18% are actively trying to destroy the company. Hardly conditions in which people (to quote Warren Buffett) start ‘tap dancing to work’. Matthew posed some provocative questions. If something’s very enjoyable, can it really be work? Why do people climb the ladder and end up doing work that is less and less interesting to earn more and more money? Why don’t employers let people do more of what they’re good at instead of trying to make them into ‘jacks-of-all-trades’? Commenting on people he’d met while researching his book Philanthrocapitalism: How the Rich Can Save the World, he said a lot of people who had made a vast amount of money didn’t feel fulfilled. Judging by our guests’ reactions, his observations and questions resonated with them. This was a room full of successful, reflective people, and the discussion got to the heart of important questions such as how we find fulfilling work, how we identify careers that are right for us and how organisations re-orientate to a strengths approach. The guests that evening were a diverse mix of genders, ages, backgrounds and sectors, including legal, retail, consulting, media, engineering and telecoms, so it was great to hear different experiences. I have long wondered whether North American organisations are more strengths-oriented in their mindset than UK or European ones. Judging by the questions and conversations it seems that organisations in both continents are at more similar stages of thinking than I had imagined. Michelangelo said that every block of stone contains a statue and it’s the sculptor’s job to reveal it. To my mind, organisations and every leader in them are sculptors. Their job is to see people’s strengths and create the conditions for them to use those strengths to the max and thrive. When I saw the engagement and interest in the room, my nervousness quickly turned into excitement about the connections made and what might result from such a wonderful evening. 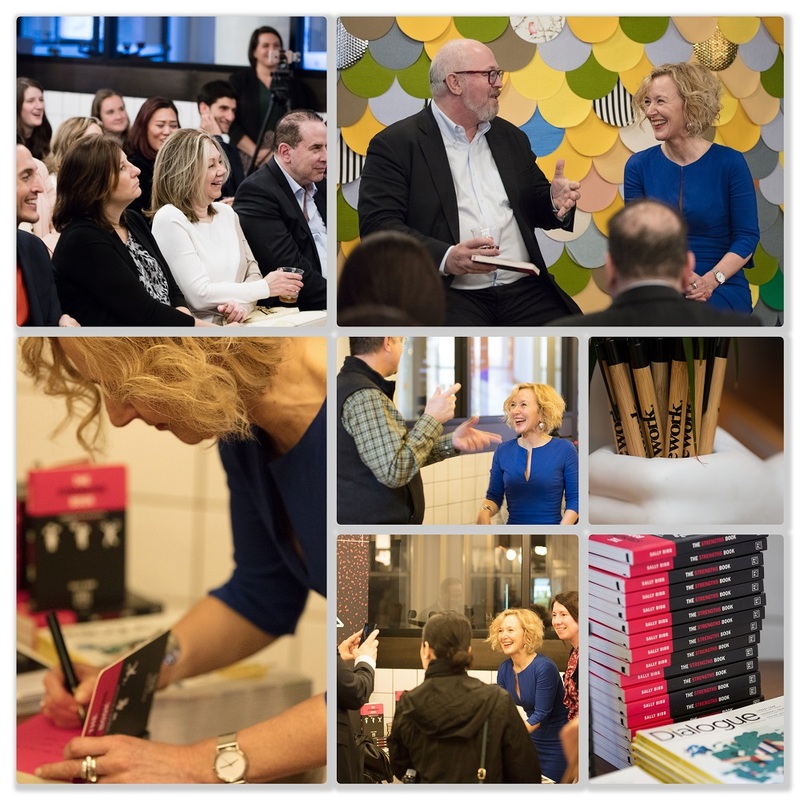 I’m grateful to everyone who came to the party in New York and delighted to have met fellow strengths revolutionaries over the pond! Images of the launch with thanks to Martin Gardner. Thank you also to Marion Bernstein for shooting this video on her iPhone, it gives a great flavour of the evening’s discussion about strengths.